Good evening my ickle treacle’s, and how are we all? Bit of a shock I’ve not left it 6 months to do another blog… I promise to become more regular, ooeerr, but seriously there’s so much going on at the moment, but all will be revealed 🙂 So recently I’ve gone back to having my fake eyelashes, I was in dyer need of some eye magic, so I called upon my friend Holly, her lashes are simply the nuts, they last forever, and she really looks after them with each and every top up I have, I can sleep with them, shower etc etc, as you can see by my ickle picture, they are the nuts! 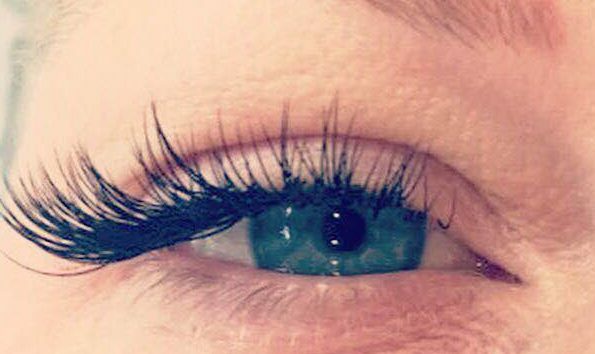 So Holly uses on me…H Francis lash, c curl, 0.20 and the lengths 7,8,9 at the front, then 11,13,11,13 in the middle and then 12, 11’s at the ends of the lashes. If you would like more info please visit Holly’s page right here 🙂 HollySheenBeauty! Site design by LndnKnts. © Copyright NikkiLee 2018. All rights reserved.